Are we all New Zealanders now? A Mäori response to the Päkehä quest for indigeneity. Racial conflict was one of the formative experiences of New Zealand society. Pakeha New Zealanders are the products of an invading culture. As individuals we can be magnanimous or guilt-stricken, according to our inclination. But as a society we have this amazing capacity for self-deception. For more than a century we smugly believed that this country was a model of racial harmony, that we were one people. Maori radicalism has put an end to that particular delusion, and we are now in the process of putting down new layers of hypocrisy. 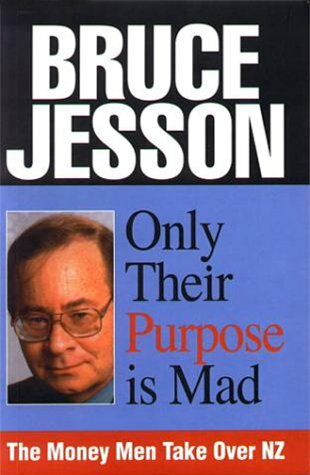 Those among you who knew Bruce Jesson well or who are familiar with his writing will doubtless recognise his voice in the extract I have just read: he wrote it in 1986,1 in the wake of Michael King’s book Being Pakeha. Unlike those who have gone before me in presenting this address, I never met Bruce Jesson. From what I have been able to find out about him, however, I wish I had. I am well aware that he commanded enormous respect and I am honoured to celebrate his memory by participating in this event. And I was particularly pleased, while working on this lecture, to come across material written by him that was so relevant to the topic that I have chosen to talk about tonight. 1 Jesson, B “Race and Identity: Looking the Other Way?” Sites no.13 (Spring 1986) 14, at 15. New Zealand has to get its British imperial past behind it. Mäori and Päkehä are both indigenous people to New Zealand now. I regard myself as an indigenous New Zealander . . .
2 Mallard, T “We Are All New Zealanders Now”, speech to the Stout Research Centre for NZ Studies, Victoria University, Wellington, 28 July 2004. 3 King, M Being Pakeha Now: Reflections and Recollections of a White Native (Auckland: Penguin Books, 1999) at 235. 4 Brash, D “Nationhood”, speech to the Orewa Rotary Club, 27 January 2004, at 6-7. It may surprise some of you that I speak of Mallard, King and Brash in the same breath: no doubt there will be those among you who cannot see the similarity in their positions. But while there are differences between them, from a Mäori point of view they also have much in common. Brash’s eager anticipation of the growth of a single multi-ethnic New Zealand race is prefaced by a discussion which takes us back to the days when it was thought that identity could be measured by blood quantum. His focus on the amount of intermarriage that has taken place and the fact that anthropologists say there are no full-blooded Mäori left in the country can only be described as bizarre: many of us thought that such ideas had been safely put to rest thirty years ago. Brash’s vision of a “multi-cultural melting pot” future whereby we will all be merged into one people is so out-of-date that it would almost be entertaining were it not so blatantly assimilationist. Entertainment aside, a central feature of Brash’s argument is the somewhat petulant insistence that non-Mäori have just as much right to be here as Mäöri. 5 Bell, A “We’re Just New Zealanders: Pakeha Identity Politics” in Spoonley, P et al Nga Patai: Racism and Ethnic Relations in Aotearoa/New Zealand (Palmerston North: Dunmore Press, 1996) 144, at 156. Round made it clear that the reason he objected to a name change was that he was fed up with what he called forced biculturalism. . . It was one of those rare moments when someone had the courage to articulate what a lot of New Zealanders privately think, but are either too polite or timid to say. While the programme was on air, viewers were asked to call in to register their approval or otherwise of the proposed name change. At the end of the programme the results of the digipoll showed that 87 percent of those who called were opposed to the idea while just 13 percent were in favour. 6 Quoted in Simpson, T Te Riri Pakeha:The White Man’s Anger (Auckland: Hodder & Stoughton, 1986) at 12. 7 Du Fresne, K “When Biculturalism Goes Too Far”, Evening Post, 7 October 1998, at 4. [L]ike David Round, they resent the feeling that this thing called biculturalism is increasingly being imposed upon them, and their own cultural heritage devalued and pushed aside in the process, with very little regard for the will of the majority. New Zealand had such a shallow culture that most New Zealanders knew little about their country’s history. Amnesia is not a recent development, but is part of the colonial condition. 8 Du Fresne (1998) 4. 9 Jesson, B Only Their Purpose is Mad (Palmerston North: Dunmore Press, 1999) at 70-71. As another manifestation of that respect, just as Pakeha were now decades away from the stance which viewed Maori culture as ‘primitive’, ‘backward’ or ‘barbaric’, so Pakeha felt that they ought not to be viewed by Maori as tau iwi or aliens, representatives of a colonising power that merely stole material and cultural resources from Maori and gave nothing in return. 10 Brash (2004) at 3. 11 Mallard (2004) at 6. 12 King, M The Penguin History of New Zealand (Auckland: Penguin, 2003) at 516. Mäori forgive and forget. King’s approach is more sophisticated: he suggests that both sides have made mistakes by unfairly stereotyping each other, thereby implying an equivalence of fault on both sides. This has the effect of masking the fact that the wrongs were overwhelmingly committed by one side and inflicted upon the other: to suggest any kind of equivalence here, in my view, is deeply problematic. [T]he neglect or forgetfulness urged on us is seldom the blank slate of historical oblivion. Thinking quickly fills up the vacuum with plausible tales of self-satisfaction on the one side and self deprecation on the other. Those who as a matter of fact benefited from their ancestors’ injustice will persuade themselves readily enough that their good fortune is due to the virtue of their race, while the descendants of their victims may too easily accept the story that they and their kind were always good for nothing. 13 Waldron, J “Historic Injustice: Its Remembrance and Supercession” in Oddie, G & Perrett, R (eds) Justice, Ethics and New Zealand Society (Auckland: Oxford University Press, 1992) 139, at 143. 14 Waldron (1992) at 142. To forget history is to allow myths to spring up in its place, myths which serve to ease the conscience of those upon whom history does not reflect well. For Mäori to collude in the forgetting of history requires us to remain silent so that the business of Päkehä myth-making and self- deception can proceed unhindered. However, I cannot accept (in the words of Mohawk legal academic Patricia Monture-Angus) that it is our responsibility to carry the guilt of the oppressor, or to silence ourselves for the sole purpose that the oppressor will not feel badly.15 To do so would be an extraordinary act of denial. Yet it sometimes appears that our colonisers demand nothing less from us, in their determination to forget or disguise the past beyond recognition and in their quest to convince themselves that history has nothing with which to reproach them. A commitment to forget is clearly something that the asserters of Päkehä indigeneity share. 15 Monture-Angus, P Thunder In My Soul: A Mohawk Woman Speaks (Halifax: Fernwood Publishing, 1995) at 63. 16 Brash (2004) at 2-3. 17 Brash (2004) at 2.
couple of generations of deficient leadership by some Maori”.18 His approach has the effect of conveniently “forgetting” that the vast majority of wrong-doing was committed on the Päkehä side. Amusingly, Labour appears to regard it’s own stance on these matters as progressive by comparison. In 2003, for instance, Michael Cullen accused Bill English of seeking “a coalition of Pakeha fearful as to the impacts of the Treaty of Waitangi”.19 As Brash’s Orewa speech makes plain, a change in National party leadership has not altered the party’s policy in this respect. Mallard revels in making fun of National’s position, accusing them of being “backward-looking. . . stalled in the 19th, or perhaps the 18th century, . . . the inheritors of the original assimilation project” and labelling them “the successors of the Victorian colonialists who wreaked havoc in so many countries”.20 Brave words from a freshly-appointed “Coordinating Minister, Race Relations”, eager no doubt to bring some intellectual vision to the debate. Yet, just as Brash continues to cultivate a coalition of the fearful, it is equally plain that Mallard is intent on forging a coalition of the forgetful: Mäori must forgive and forget, and Päkehä must be allowed to forget, so that we can all live together as one big, happy, amnesic family. 18 Brash (2004) at 3. 19 Cullen, M, Speech to Region Two Labour Party Conference, 5 April, 2003) at 3. 20 Mallard (2004) at 3.
and died to preserve the notion of their being”.21 Mäori understand only too well our obligation, to generations past and future, not to forget. And the truth of the matter is that no matter how hard they try, Päkehä cannot forget either. As Bruce Jesson stated so simply, Päkehä are the products of an invading culture. Brash can bluster all he likes about the limits to which he can be made to apologise for the sins of his ancestors; Mallard can appeal to Mäori to trust him; King can insist that the colonisers did not simply take without giving anything in return; Round can defend the cultural significance of the names North Island and South Island as if his life depends on it. But whatever they might say I do not believe that any of them can truly forget. A sense of underlying unease, of unresolved guilt pervades their words. One barely has to scratch the Päkehä surface to find the guilt lying immediately beneath, guilt which manifests itself as denial, self-justification, defensiveness and, incredibly enough, a sense of victimhood. I am aware that the picture I have painted so far is a fairly gloomy one. Yet I can see, even in the words of those whom I have criticised, some cause for optimism. To begin with there is an implicit acknowledgement from each of them that the key to their desire to feel that they “belong” here somehow lies in the relationship between Päkehä and Mäori. There is also a sense that in order for that relationship to be put on a sound footing, something has to change. 21 Alred, T Peace, Power, Righteousness: An Indigenous Manifesto (Don Mills: Oxford University Press, 1999) at 33.
dysfunctional. The cost to Päkehä, as I have already said, is a burden of shame that they cannot escape. The cost to Mäori is also high. When in 2000 Tariana Turia spoke about the phenomenon of Post Colonial Traumatic Stress Disorder22 many leading politicians scaled new heights of sheer absurdity in their reactions, such was their horror at being reminded of a past they wanted so desperately to forget. As a result of the madness that erupted in the wake of her speech to the New Zealand Psychological Society Conference (and it is pertinent to note the head of the Psychological Society’s public statement that her speech had been entirely appropriate in the context of the occasion) a whole new vocabulary of words that should not be mentioned in public emerged. We now know that, in relation to the Aotearoa context at least, the “g” word (genocide) is considered impolite, the “h” word (holocaust), simply unmentionable. Regrettably, amidst all the stupidity the message that was being conveyed was completely lost. Turia referred to Native American Psychologist Eduardo Duran who suggests that the colonial oppression suffered by indigenous people inevitably wounds the soul.23 There is no doubt in my mind that Mäori continue to bear the scars of colonisation. I have already said that Päkehä guilt lurks just beneath the surface; Mäori grief and rage inhabit the same psychological and spiritual space, often unleashed by the smallest of triggers. But I for one do not accept that this is how things have to remain. The prospect of being forever locked into the roles of oppressor and oppressed must surely be as unfulfilling for Päkehä as it is frustrating for Mäori. 22 Turia, T, Speech to NZ Psychological Society Conference, 29 August 2000. 23 Turia (2000) at 3. The foreshore debacle has provided a timely reminder of the ease with which the Crown slips into its time-honoured pattern of threats and coercion, consigning Päkehä yet again to the role of oppressor. I find it hard to believe it is a role that Päkehä relish. I doubt whether our collective grief is something of which Päkehä are proud. I also know that the very last thing we need is Päkehä wallowing in guilt. All of us, Mäori and Päkehä hope for a better world for our children and grandchildren. If the key to creating that better world does not lie in forgetting our past, where does it lie? 24 Royal, C “Kaupapa and Tikanga”, paper presented at the Mai i Te Ata Hapara conference, Te Wananga-o-Raukawa, Otaki, 11-13 August, 2000, at 1. 25 Durie, T “Custom Law”, unpublished paper, 1994, 4-5. 26 Durie (1994) at 8. Waitangi Revisited: Perspectives on the Treaty of Waitangi (Auckland: Oxford University Press, 2004) 330 for further discussion of tikanga Mäori as the first law of Aotearoa. reaffirmation of Mäori authority in the second article of Te Tiriti o Waitangi been adhered to, the relationship between Päkehä and Mäori would have been regulated by tikanga Mäori throughout our shared history. I believe it would have resulted in a far healthier relationship than the one we currently have. While tikanga has largely been displaced by the operation of the coloniser’s law, it is still an important determinant of Mäori behaviour. It embodies a number of highly relevant principles and precedents, the application of which in a contemporary context would suggest an exciting range of possibilities for Mäori and Päkehä. The fundamental purpose of Mäori law, as the Waitangi Tribunal has noted, is to maintain appropriate relationships of people to their environment, to their history and to each other.28 The first relationship that must be mentioned is that of people to the land. Mäori are born out of the land, conceived and given life by Papatüänuku. When a Mäori child is born, the placenta or whenua is returned to Papatüänuku. These spiritual and genealogical connections to her are what make us tangata whenua. It is a concept that can only have meaning within the context of a Mäori world view. 28 Waitangi Tribunal, Muriwhenua Land Report (1997) at 21.
basis for law and a fertile field for its development.”29 Thus the term tangata whenua, while referring to all Mäori by virtue of our descent from Papatüänuku, is also applied more specifically to the iwi and hapü associated with a particular area of land. Having considered the connection between people and land, it is appropriate now to turn to the matter of human relationships. Let us begin by talking about the relationship between tangata whenua (loosely translated as hosts) and manuhiri (visitors or guests). When manuhiri go into the area of another people, it is understood that the tikanga of the tangata whenua apply. While there are variations between iwi and hapü in way in which tikanga is practised, there is no question that within the domain of the tangata whenua, it is their interpretation and application of the principles underpinning tikanga that prevails. Manuhiri from Tainui, for instance, would never dream of telling their hosts in Te Taitokerau or Te Tairäwhiti, how they should conduct themselves on their own marae or in their own area. 29 Muriwhenua Land Report at 23. Land allocations to outside individuals. . .were not an alienation of the land but the incorporation of the individuals. A rangatira who allocated land to an individual augmented not the recipient but the community the rangatira represented, for it was the recipient who was the most obliged. The purpose was not to elevate the individual but to build the community. It was not uncommon for marriages with local people to be arranged in such instances, as the children of any such unions would give a stake in the land by ancestry. Nevertheless, the outsider who married in would never become tangata whenua in the true sense of the word. Nor could they ever presume to take on for themselves that status. If I lived my whole adult life in my spouse’s village, for example, I would never reach a moment when I would refer to myself as tangata whenua of that place. That does not mean that I could not fulfil an important and valued role as a member of that community: it simply means that I could not assume for myself the status of tangata whenua there. I would remain manene, a stranger in a sense, albeit one who forged a powerful connection with the hapü and iwi of that place by virtue of sharing in their lives and producing children who could claim such tangata whenua status. It would be exactly the same for my spouse in the event of his coming to live in my area. 30 Muriwhenua Land Report at 25. The point is that it is never possible for manuhiri or manene to take upon themselves the status of tangata whenua. An outsider may be incorporated into the tangata whenua group, be allocated land and other rights and may even have their place within the community cemented by marriage and children. But ultimately, it is for the tangata whenua to determine the way in which they view the outsider in their midst. A second relationship that is worthy of consideration in the context of Mäori-Päkeha interaction is that of wrong-doer and wronged. Colonisation the world over has resulted in oppression of indigenous peoples, and Aotearoa is no exception. Despite the occasional somewhat desperate suggestion to the contrary, the fact is that iwi and hapü the length and breadth of Aotearoa have suffered almost unimaginable injustice at the hands of Päkehä, injustice that has been either sanctioned or actively perpetrated by the Crown. According to tikanga Mäori, when a wrong is committed it creates a depletion of mana and a situation of serious imbalance, not just between the parties concerned but also amongst their respective whänau and hapü. Relationships are damaged. Action is necessary to restore the mana of the people and groups involved, thereby re-establishing the balance and returning the various relationships impacted upon to a healthy state. be destroyed and in some instances it was possible that lives might be taken or injuries inflicted. The greater the significance of the parties involved, and the more serious the wrongdoing, the greater the extent of the muru that could be expected.31 It has been noted that whakamä, the notion of embarrassment or shame, was a pivotal concept in muru. Whakamä was felt, not just by the individual who had committed the wrong, but also by his or her whänau or hapü. The consequences of the individual’s actions were suffered by the collective group. There was also a powerful element of trust involved: in submitting themselves to the justice meted out by the wronged whänau, the whänau of the wrong- doer had no option but to trust in the other party’s ability to gauge the extent of action required to mend any damage to the multiple relationships affected. Muru was essentially restorative in nature, having the effect of restoring mana to the whänau and hapü of both offender and victim, and thereby re-establishing balance between them. Muru rehabilitated not only the victim but also the offender. What do each of these examples offer us in a contemporary context? Crucial to the acceptance of manene or manuhiri in the domain of an iwi or hapü is their compliance with the tikanga of the tangata whenua: the outsider is granted such status and rights as the tangata whenua determine. Central to the resolution of a wrong-doing is the commitment of the wrong-doer’s whänau to submit themselves to the measures taken against them by the wronged party. 31 Ministry of Justice, He Hinätore ki te Ao Mäori: A Glimpse into the Mäori World (2001) at 99-103; Mead, S Nga Tikanga Tuku Iho a Te Maori: Customary Concepts of the Maori (Department of Maori Studies, Victoria University of Wellington, 1984) at 31-46.
progress over the past twenty years represents an attempt to resolve the injustices of the past, and that steps such as the incorporation of Mäori terms into legislation (for example, the Resource Management Act or Te Ture Whenua Mäori) represent a genuine effort on the Crown’s part to bridge the divide between Mäori and Päkehä. But how do these developments measure up against the tikanga Mäori principles governing the relationship between tangata whenua and manuhiri, or between the wrong-doer and the wronged party? Put simply, they don’t. The Waitangi Tribunal, for instance, while having achieved a great deal through its meticulous report-writing and its ability to operate on the proverbial smell of an oily rag, is a creature of statute, its powers subject to legislative interference – as happened, for instance, following the Te Roroa report.32 Appointments to the Tribunal are made upon the recommendation of Ministers of the Crown, it is ritually starved of resources, and its recommendations routinely ignored by the Crown. When negotiating settlements with the Crown, claimants are typically presented with a “take-it-or-leave-it” bottom line, with the Crown prepared to negotiate on minor matters only. Any legislative provisions that have unforeseen consequences (unforeseen to the Crown, that is) are either amended to ensure that the impact of Mäori concepts on the operation of Päkehä law remains minimal, or they are interpreted restrictively by the courts, or both. 32 Waitangi Tribunal, Te Roroa Report (1992). method of dealing with the injustices of the past cannot possibly hope to achieve resolution. The irony of being lectured by Trevor Mallard on the necessity for Mäori to trust the perpetrators of our oppression is, quite frankly, breathtaking. For Päkehä to gain legitimacy here, it is they who must place their trust in Mäori, not the other way around. They must accept that it is for the tangata whenua to determine their status in this land, and to do so in accordance with tikanga Mäori. This will involve sorting out a process of negotiation which is driven by the principles underpinning tikanga, a process which Päkehä do not control. There is no doubt that many Päkehä will find this challenging: their obsession with control over the Mäori-Päkehä relationship to date could almost be categorised as a form of compulsive disorder. Giving up such control requires a leap of faith on the part of Päkehä. In my view, however, nothing less will suffice if they truly want to gain the sense of belonging they so crave, the sense of identity that until now has proven so elusive. 33 Jesson (1986) at 15. 34 Nairn, R Sites no.13 (Spring 1986) 17, at 18.
such a basis. While that in itself is cause for optimism, I encourage them not to settle for building positive relationships with Mäori on a personal level only: I urge them to use their experiences constructively, to bring about the mind-shift required amongst Päkehä society as a whole. Perhaps it is Mike Grimshaw who best addressed the question of Päkehä identity when earlier this year he observed: “I am a Pakeha because I live in a Maori country”.35 When you think about it, there is nowhere else in the world that one can be Päkehä. Whether the term remains forever linked to the shameful role of oppressor or whether it can become a positive source of identity and pride is up to Päkehä themselves. All that is required from them is a leap of faith. 35 Grimshaw, M “What Lies Beneath”, Listener 4 September 2004, 40, at 41.